The most important assets for creating cyber-resilient products are the people who build them. 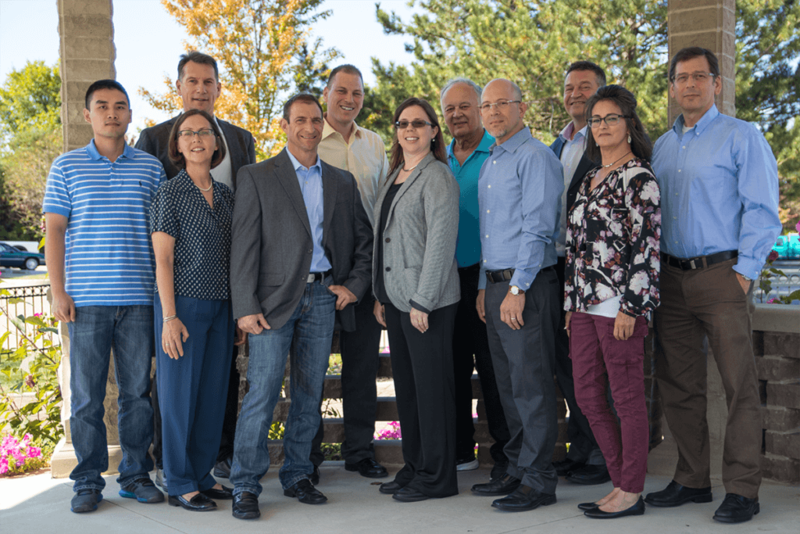 Get to know our team of highly skilled industry leaders and security professionals. TrustiPhi’s cross-functional team of senior security specialists, software engineers and product managers have envisioned, architected and developed security products and subsystems for some of the world’s largest technology companies as well as the US government and US military. Ari Singer is an energetic and experienced strategist, high-tech product manager, entrepreneur, and security specialist. He has been a driving force in the trusted computing space for the last 20 years. Before co-founding TrustiPhi, Ari served in senior leadership roles at Digital Management, Inc. and NTRU Cryptosystems, playing a key role in helping to define the US Department of Defense’s Trusted Computing technical strategy and enabling industry leaders such as Microsoft, Intel, Dell, Broadcom, Fujitsu and Atmel to deploy Trusted Computing technologies. Ari has extensive standards experience, including serving as chair of the Trusted Computing Group’s TPM WG and TSS WG, as chair of the IEEE P1363 WG and as security editor/author of IEEE 802.15.3, IEEE 802.15.4 and EESS #1. Ari received a BS in Mathematics and a BA in Music from The Ohio State University and an MBA from Babson College. He holds 6 U.S. issued patents. In Andy’s 25+ year technology career, he has been a leader in the security space at AuthenTec, Foster & Wager and Digital Management, Inc. Andy has envisioned, architected and developed secure semiconductor and software solutions for biometric user identification and platform authentication products integrated into PCs, Mobile Phones and embedded systems manufactured by global OEMs such as HP, Dell, Samsung, Lenovo, Toshiba, Motorola, Fujitsu and others. Andy assisted the Microsoft OS Core Security development team in designing the Windows Biometric Framework and has worked closely with leading industry security partners such as Intel, NXP, Broadcom and VeriSign (now a Symantec company) to architect hardware and software solutions. Andy holds a B.S. in Electrical and Computer Engineering from Clarkson University, Graduate Courses from Florida Institute of Technology and earned a Professional Engineering License in the State of Florida. He holds 5 U.S. issued patents. Frank Zurla has over 34 years of experience in total, with 16 years of director level leadership in industries covering avionics, embedded real-time controls, commercial industrial controls and business process automation. Frank has extensive engineering experience in a variety of areas including software, electronics, systems, verification, validation, process and services. Frank has acquired in depth knowledge in business development, personnel leadership and development, client management, engineering personnel management (operational functions), and higher order business functions like Product Realization as well as certification to standards such as DO-178B, SEAL, and Mil-Std-2167A. Frank’s specific responsibilities have ranged from business process engineering to AS9100/9115 standards, to business planning & development, business alliance development, sales and marketing, operations management, and project and client management. Michael Shipps is an accomplished cybersecurity professional with over 20 years of experience developing and managing large complex security projects. Prior to joining TrustiPhi, Michael led Digital Management, Inc.’s business development efforts in their Trusted Computing Division that designed leading-edge hardware and firmware security platforms for Fortune 1000 equipment and computer chip manufacturers. Prior to joining Digital Management, Inc., Michael led business development and technical consulting teams for information security companies IOActive and Verizon Business where he managed teams that developed complex information security systems for Fortune 500 clients. Michael previously managed global sales engineering and technical consulting teams for international telecommunication carriers prior to his information security career. Michael received a B.S. in Economics from Arizona State and an M.B.A. from National University. Michael also received a Graduate Certificate in Information Security from Villanova University. For over 20 years, Stuart has designed, architected and led the development of high-quality, software-oriented products, devices and systems. He brings a broad range of experiences to the TrustiPhi team with particular depth in mission-critical embedded systems. Stuart has acquired extensive software expertise through the years, creating complex systems that required detailed mapping to stringent regulatory and functional security requirements. At NDI Medical, Checkpoint Systems and AVID technology, Stuart led the software and firmware development of FDA and CE approved devices and surgical tools and worked on military and aerospace products and on a variety of consumer, home health, automotive, and industrial products. Stuart received a B.S. and M.S. in Electrical and Computer Engineering from Drexel University. He holds 9 U.S. issued patents. Marshall Shapiro has 25 years of professional experience building software and managing software projects across a wide range of areas. Prior to joining TrustiPhi, Marshall worked at Draper Laboratory, in Cambridge, MA where he served in leadership roles supporting projects for DARPA and the military including developing automated planning and monitoring systems for Airforce Air Operation Centers, calibration systems for the Trident missile guidance system and other experimental command and control systems. Additional work at Draper included work on intrusion tolerance, human-machine interaction, and a framework for rapid GUI prototyping. Marshall also worked for the IBM TJ Watson Research Center building advanced applications for Mobile Computing, and at Salomon Smith Barney and CFX Software Inc., building financial software applications. His professional interests include trusted computing, object-oriented architectures, human-system interaction, decision aid systems, system integration and testing, and domain modeling. Marshall received an MS in Computer Science from Columbia University, and a BS from the State University of New York at Albany. Jieming Shi is a software developer with a solid understanding and focus on algorithms and data structures. Prior to TrustiPhi, Jieming was a significant contributor at the bioinformatics laboratory at Miami University for 4 years, developing high-performance software and web applications analyzing next-generation sequencing data. Jieming has developed a collection of open-source software tools and published several academic papers related to novel computational algorithms, high-performance computing, and big data analysis. Jieming received a PhD in Bioinformatics from Miami University.